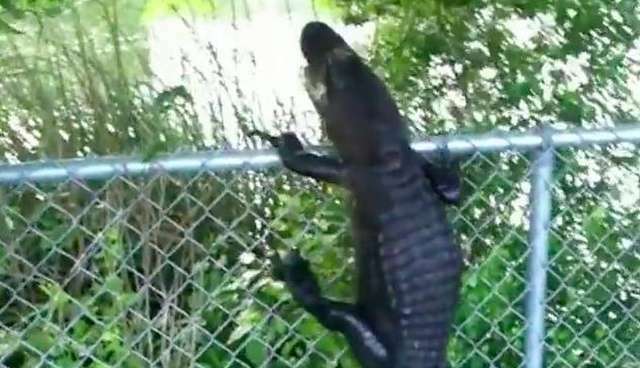 This alligator isn't daunted by 3-foot fences. YouTuber Duce Brickenson worked for a tour company in the Everglades when he took this video, which was posted in 2013. Part of his job was to remove any alligators from the parking lot, so they wouldn't get injured by cars or visitors. "The tourists that come here are pretty stupid, and are usually the instigators of alligator bites," he wrote in the video description. In the video, he spots a medium-sized alligator roaming around the parking lot and ushers it over to a fence. Crouching down by the hissing reptile (Note: Don't get this close to an alligator unless you know what you're doing), he encourages it to hop over. 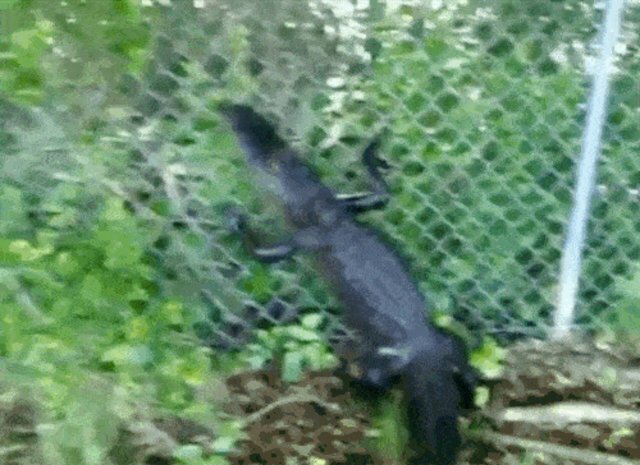 Sure enough, the ungainly gator pulls himself upright and latches onto the fence, quickly scampering up to the top. He unceremoniously plops down on the other side, rights himself and quickly hurries off home. The video is impressive, both for the alligator's skill and because scientists are still learning about them and their climbing abilities; just last year a paper documented their ability to climb trees. "Gators are truly amazing creatures, and you'll never know all their secrets unless you actually spend time in the everglades; and observe them up close like I did," Duce Brickenson wrote. "It's amazing to think that some scientists don't even know that alligators can do this."